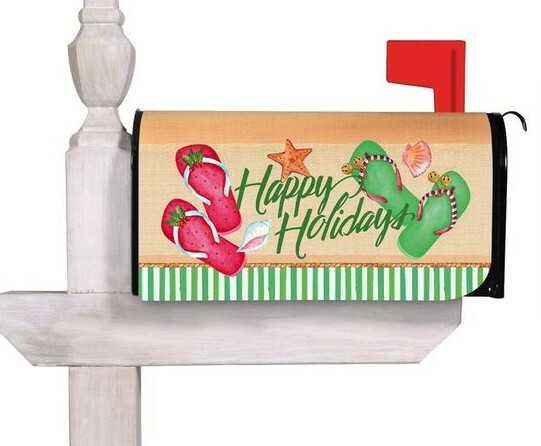 Share the joy of the season with this beachy holiday mailbox cover. Made from heat sublimated/printed nylon, the cover includes 2 magnetic stripes for easy attachment to a metal surface. Fits standard-sized mailboxes.